Read the full article about leading from behind by Amanda Andere at The Center for Effective Philanthropy. 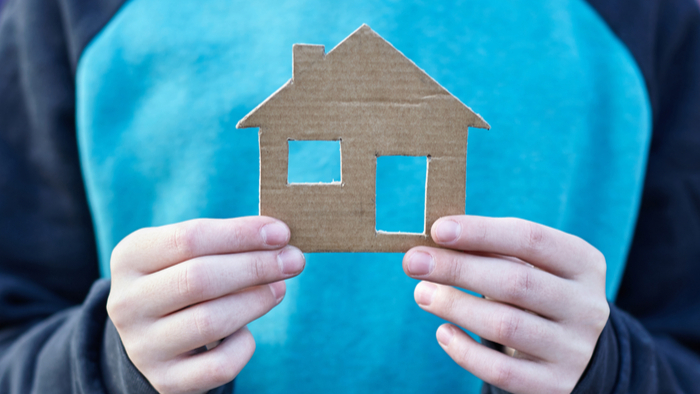 If you are looking for more articles and resources for Homeless and Housing, take a look at these Giving Compass selections related to impact giving and Homeless and Housing. Giving Compass' Take: • The State Index on Youth Homelessness provides a complete picture of the current state of youth homelessness across the country and specific recommendations for policy, systems, and environmental changes to reduce youth homelessness. • How can donors partner with organizations to address these gaps? What policies are the most impactful? Which are the most feasible? • Find out why LGBTQ youth are more likely to be homeless. Key Findings: With the highest score being 65, there is still room for improvement in states that ranked near the top. Only 17 states met over half of the Index’s criteria and recommendations while six states failed to meet even a third of the criteria. The states that scored the least and are at the bottom of the rankings also performed worse on the Index’s key recommendations. Those that scored at the top tend to have more resources, funding and advocacy dedicated to preventing and ending youth homelessness. While each state’s performance across different criteria varied, youth experiencing homelessness generally face an environment that is hostile to and not supportive of their needs. States need to do a better job of incorporating the voices of youth in their work, prioritizing youth homelessness, increasing awareness for youth homelessness, and protecting vulnerable groups that are disproportionately represented among youth experiencing homelessness. Access to education and appropriate recognition of youth homelessness in laws, statutes, and regulations need to be prioritized across states. States need to invest in ensuring that the educational needs of students experiencing homelessness are met. Additionally, states need to dedicate more funding and resources to prevent and end youth homelessness. Washington and Massachusetts are particularly notable for meeting the most criteria and recommendations across laws, policies, systems, and environment in the Index. California is notable for having progressive laws and policies that benefit and protect youth experiencing homelessness. Washington along with Minnesota have the most systems within the Index to end youth homelessness. Meanwhile, Connecticut and the District of Columbia had the highest scores within the environments metrics. Many states lack a state law that provides adequate funding to address youth homelessness and comprehensive support services for youth who have run away and/or are experiencing homelessness. Most states are failing to prioritize the education rights of youth experiencing homelessness. Youth experiencing homelessness are still criminalized for behavior directly related to experiencing homelessness in some states. Many states lack appropriate recognition of homeless youth in their laws, policies, and regulations. Throughout the country, justice-involved youth are at risk of experiencing homelessness upon discharge. Many states restrict the contract rights (for example, the right to enter into a lease or a legally binding contract for services) of unaccompanied homeless youth living on their own and make it difficult or impossible to legally live independently. Many states have barriers to accessing critical supports and services. Many states have not made federal benefits like Supplemental Nutrition Assistance Program (SNAP) and Temporary Assistance to Needy Families (TANF) accessible to youth experiencing homelessness. If you are looking for opportunities to learn and connect with others interested in the topic of Health, take a look at these events, galas, conferences and volunteering opportunities aggregated by Giving Compass. Health is an important topic. Other members found these Giving Funds, Charitable Organizations and Projects aggregated by Giving Compass to be relevant to individuals with a passion for Health.